MedMen Enterprises has agreed to acquire multistate medical marijuana company PharmaCann in an all-stock deal valued at $682 million, inking what is believed to be the largest acquisition to date in the U.S. cannabis industry. The deal will double the number of states where Los Angeles-based MedMen has licenses to operate – expanding the firm’s reach to 12 states with 66 retails stores and 13 cultivation facilities, the company announced Thursday. “This is a transformative acquisition that will create the largest U.S. cannabis company in the world’s largest cannabis market,” Adam Bierman, MedMen’s chief executive officer and co-founder, said, referencing the California industry, in a news release. MedMen is traded on the Canadian Securities Exchange as MMEN and on U.S. over-the-counter markets as MMNFF. Shares of MedMen rose more than 5% on Thursday, closing at $4.45 a share on the U.S. over-the-counter markets. The acquisition is the latest to occur in the North American marijuana industry. Canadian companies, in particular, have been on a buying spree ahead of next week’s launch of the country’s recreational cannabis market. In addition, Canadian cannabis investment firms and holding companies have been making multimillion-dollar bids on a range of U.S.-based cultivators, manufacturers and retailers. Moreover, U.S. cannabis companies have been snapping up one another. Under terms of the MedMen acquisition, PharmaCann shareholders will own roughly 25% of fully diluted shares of the newly merged company upon the deal’s closing. 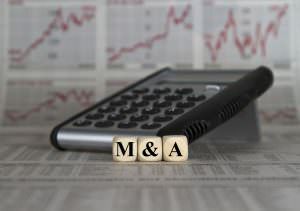 The acquisition has been approved by the boards of MedMen and PharmaCann but is subject to certain approvals by various local and state authorities. Launched in 2014, PharmaCann operates 10 retail stores and three cultivation and production facilities in New York, Maryland, Massachusetts and Illinois, where it is the largest holder of MMJ licenses. The company, which is based in Oak Park, Illinois, also owns licenses for retail stores in Pennsylvania, Maryland, Massachusetts, Ohio, Virginia and Michigan as well as cultivation and production licenses in all of its markets, excluding Maryland. MedMen operates 14 retail stores in California, Nevada and New York and recently acquired a license to open and operate 30 retail stores in Florida. MedMen also has signed binding agreements to acquire an operating retail store in Illinois and cultivation and retail operations in Arizona. The company has cultivation and production facilities in Nevada and New York and is building facilities in Desert Hot Springs, California, and near Orlando, Florida.